What do you do when you are walking on the pavement and wish to cross a small and narrow street, where there are no vehicles, but the light is red at the pedestrian’s crossing? What do you do if all the pedestrians are crossing the street, not heeding the traffic lights? Do you cross the street too, while the light is red, because everyone else is doing so? 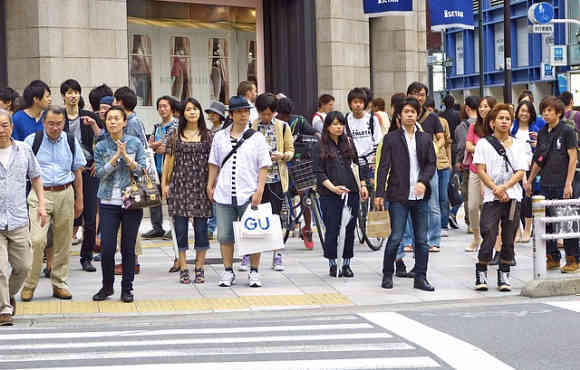 Suppose you see all the people are crossing the street, but you stop and say, “I don’t care what they are doing. I am going to wait until the light changes.” You will most probably feel awkward and think that people are laughing at you or ridiculing you, because you are waiting for the light to change. At the same time you do not want to attract undue attention and you don’t want everyone to look at you. Do you know that you can use this situation to your advantage? You can use this situation to develop inner strength, courage, and decisiveness. How Crossing the Street Can Help You Develop Inner Strength? Here is a simple exercise that will turn crossing a street into an exercise for developing your inner strength. Wait until the light changes to green. By doing so you develop your inner strength. Wait, not because you are afraid to cross the street, or just because you are a law abiding citizen, but because by doing so, you strengthen your self discipline. Ignore any feeling of inconvenience or ridicule that you might feel, because you are the only person not crossing the street. It is your life, and it does not matter what other people might be thinking about you. Resist the desire to cross the street. Ignore the little voice inside your head telling you to cross the street and be like everyone else. Stay patient until the light changes, even if you are in a hurry. Wait, even if you feel inner restlessness. This might not be easy, but you can do it. You may even turn this into a habit. You might feel awkward to be standing a the crossing, being the only person waiting, but this does much to your inner strength. This is a good exercise for developing your self-discipline. Do it the next time you are in this situation and see what happens. Are you strong enough to act in this way? If you succeed, you will feel a sensation of power and strength filling you. You will feel strong and powerful. This exercise teaches self discipline, and strengthens your ability to control senseless inner impulses, control your thoughts, and develop patience, inner strength, and the ability to abide by your decisions, despite external and inner pressure. If you wish to learn more about inner strength and self discipline, and know had to strengthen them, I suggest that you read and practice the instructions and exercises in the book Strengthen Your Willpower and Self Discipline.